We have received a number of reports regarding the Romeo Moon S2 and Romeo Louis II S2 model lamps,specifically in respect of products manufactured between 1996 and 2006. We have found how the improper use of some cleaning products on the articles could weaken the lighting suspension system, leading over time in some very rare cases, to its failure. Hazard: The glass diffuser can detach and fall, posing an impact injury hazard. Consumers should avoid walking under the fixtures until they are repaired. 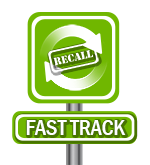 Consumers should contact the firm or any Flos retailer for a free repair kit that can be installed by consumers. Flos toll-free at 888-952-9541 from 9 a.m. to 5 p.m. 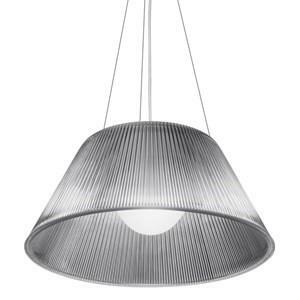 ET Monday through Friday, email Flos at info@flosusa.com, or online at www.flos.com and click on “Romeo Notice to Customers” for more information. 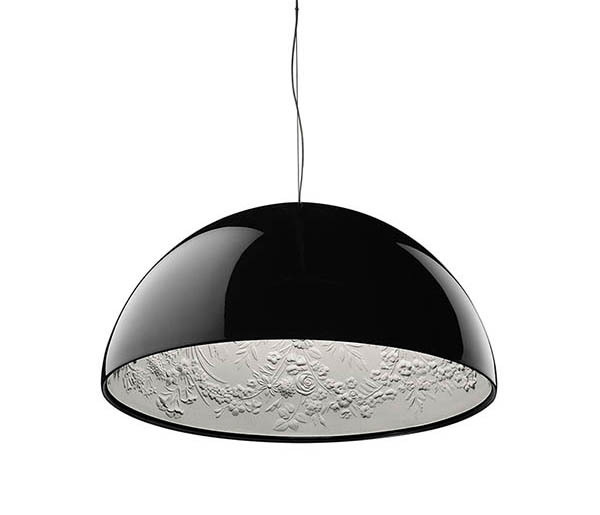 This recall involves the Flos Romeo Moon model S2 and Romeo Louis II model S2 pendant lamps. The model number is printed on a label on the shade. 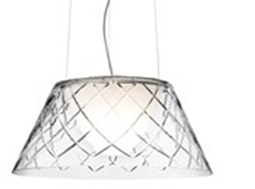 The lamps have an internal glass diffuser covered by a flared glass or crystal shade that suspends from the ceiling by steel wires. 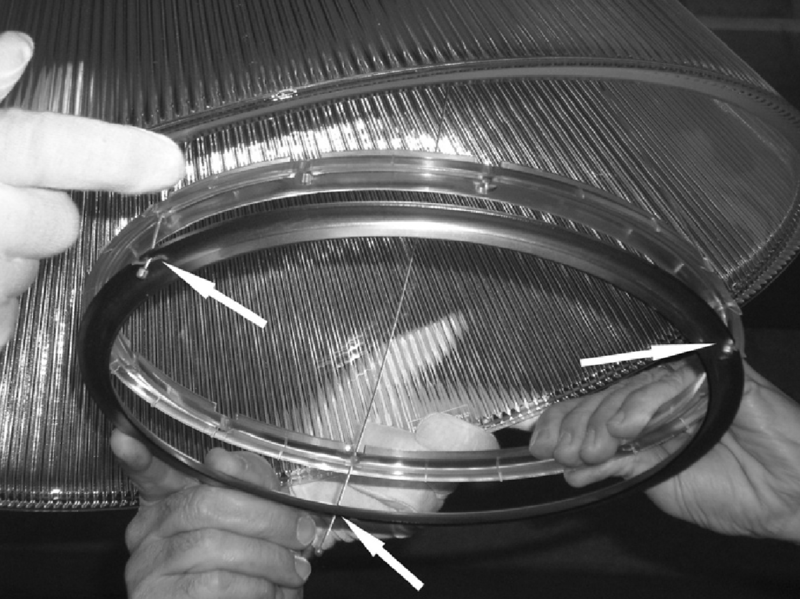 Consumers can tell if their lamp is part of the recall by examining the underside of the ring holding the glass diffuser. If this piece is plastic only, it is part of the recall. Sold At: Design Within Reach, Lumens, Ylighting, and other lighting stores and online at Flos.com from January 1996 through December 2006 for between $800 and $1,900. 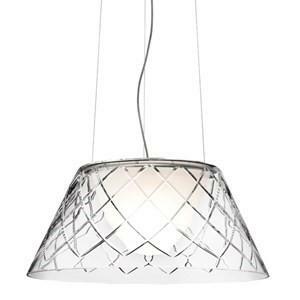 Importer: Flos Inc., of Brooklyn, N.Y.
Underside of the ring holding the glass diffuser. If this piece is plastic only, it is part of the recall. 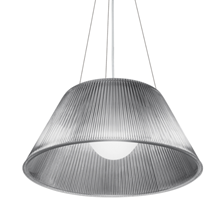 We have received some complaints about a malfunction of the halogen version of the Skygarden 1 and Skygarden 2 Pendant Lamps, manufactured since 2007, which may derive from a possible fault in the terminal of the mechanical device used to bear the weight of the lamp. In extremely rare cases this defect might lead to the buckling of the lamp suspension system. Although very few cases have been reported, and absolutely no damage has been caused to consumers, safety has always been a top priority for FLOS. For customers that have purchased these models in the period going from January 2008 to July 2016, we have prepared a simple safety kit that can easily be mounted on these lamps by qualified technicians. We accordingly invite our customers to contact their nearest authorized FLOS retailer to receive the information needed to obtain the safety kit, absolutely free of charge (assembly instructions can be downloaded here). For further information, please call 888.952.9541 or email:info@flosusa.com.